Production of the Royal Enfield Continental GT has ended! 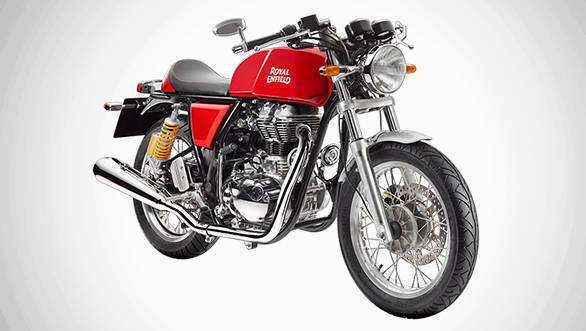 Royal Enfield has stopped production of its current flagship, the Continental GT. The good news though is that this is being done to make way for the new, bigger and more powerful Continental GT 650 that is expected to launch this May. Royal Enfield dealers have stocks of the Continental GT 535 motorcycle currently though and we expect the bike to be on sale till stocks last. The Continental GT was launched late in 2013 as a spiritual successor to the original café racer Royal Enfield sold by the same name. The current GT has been received well for its old-school, café racer design, though many found it to be expensive as a package. The café racer stance also didn't go down well with lovers of the traditional Bullet in India but the Continental GT has done very well for Royal Enfield in international markets. There's no denying the Continental GT looks beautifully retro, and powered by a bored-out version of the Royal Enfield Classic 500's single-cylinder engine it offered 29PS and 44Nm of power which made it the most powerful motorcycle in Royal Enfield's line-up. When launched, the Continental GT 650 will become the new flagship and the most powerful Royal Enfield, being powered by an air-cooled, 648cc, parallel-twin cylinder engine producing 47PS and 52Nm. The Interceptor 650, a retro-looking motorcycle powered by the same engine is expected to be launched alongside the Royal Enfield Continental GT 650. Given the bigger engine and newer cycle parts, not to mention better fit-finish and equipment levels, the Continental GT 650 will also be the most expensive Royal Enfield yet and will be priced at around Rs 3.25 lakh. 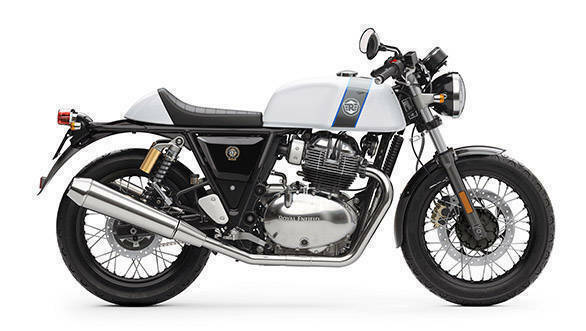 You can read more about the Continental GT 650 and Interceptor 650 here.